3DigiPrints Blog: 3D Printed Gun - Boon or Disaster ! 3D Printed Gun - Boon or Disaster ! When good happens bad also follows , with happiness sadness comes along , same way with life death too comes along. That is the truth of life nothing can be only good or only bad , everything that happens or is created has it's positive and negative side. When 3D technology surfaced it's positive and negative too had to happen. Just like one way 3D technology is making life saving human parts the other way it is also creating life taking weapons like guns. 3D printing is a huge craze in itself every company that is into 3D printing is just out to create revolution after revolution. Solid Concepts went forward and created their first 3D printed metallic gun, though the idea to print guns does not appeal to me as weapons the less they are, manufactured the better it is for global peace and this 3D printed gun definitely created a flutter in me.The Gun printed by Solid concepts is a 1911 classic model made by using 30 plus 3D mental components and was successful when it was test fired.This 3D metal gun till date has known to have fired more than 1000 rounds. This stainless steel gun is not machine made it is a product of hand made accessories and tools. Last time when solid concepts ran into legal issues with their 3D printed plastic gun which got entangled in the 1988 fire arms act this time they made sure no legal issues will hamper their success as not only have they procured a firearms license and their gun this time is made from steel which will not pass unnoticeable at airport security . "Thank God for that " Solid concepts gladly as off now are not selling these 3D printed metal guns as that was not the reason to invent them too. 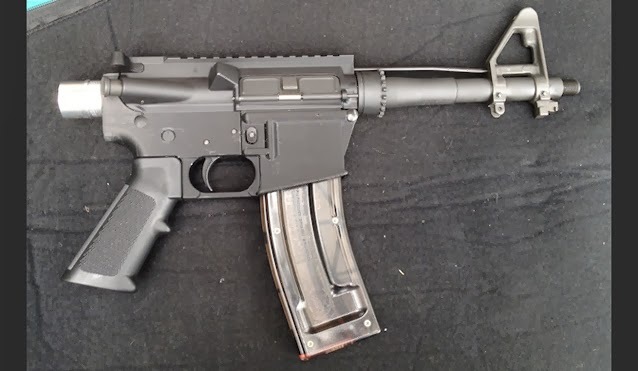 This gun is made using the DMLS that is "direct metal laser sintering" this is a technology used by solid concepts that will build steel accessories or parts from 3d printer by using laser to blast powdered metal. Solid concepts is a known company that has been using 3D technology to make automotive industrial tools and medical instruments. What i fail to understand is why just to prove a point that DMLS technology is capable for actual true to life world applications they went on to create a gun. Frankly there are many ways to prove your point a 3D metal gun which will work just as powerful as a gun made in a factory is not the right way.It is a scary thought that with this technology you are giving people the liberty to print their own guns, all they need to do is get a hold of the technology and VOILA!! print guns. Seriously just the thought is scary enough for me no wonder technology always has both pros and cons it is great to see 3D printing technology creating human friendly gadgets but it is also terrifying to see the misuse. some people can do with the same technology. If you have contributions to make on this article please be free to use the comment box .